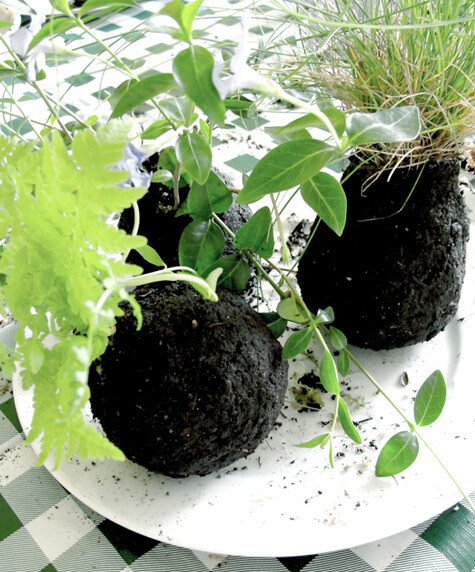 DIY “kokedama” string garden – Snug Hug & Co.
Get your hands into soil and play around with some fun plant experiments! kokedama — Japanese moss balls — look great hanging in homes, and maybe you just never realized how easy they are to create. 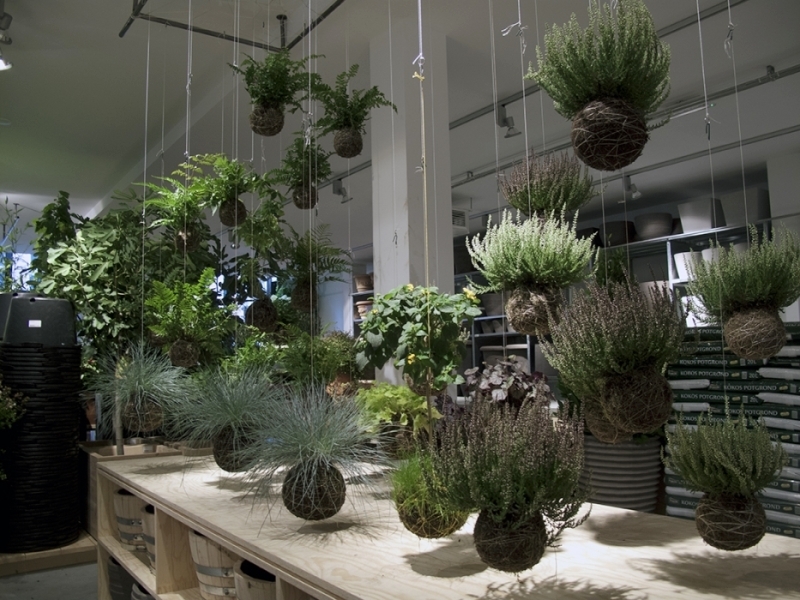 Netherlands-based designer and all-around super-creative Aura Scaringi made this simple tutorial for crafting your own hanging kokedama garden using a combination of peat soil and akedama, or bonsai soil. Like all of Aura’s work, the results are lovely — let’s know hoe to try it on! a tiny plant; moss can’t stand direct sunlight, so choose a shadow-loving plant. I have used baby ferns, grass and another lovely plant with violet flowers, the name of which I can’t recall. nice packing string like twine, hemp or sisal. Remove as much soil as possible from your tiny plant so that its roots are exposed. Be very thorough but gentle! Mix your peat and akedama soil together. You know the consistency is right when you are able to make a small ball from the earth without it breaking apart. 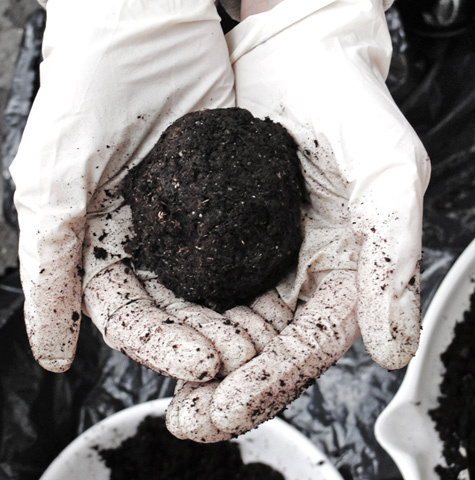 Now that your soil is mixed, start shaping it into a small, orange-sized ball. Use a little bit of water if needed. Think clay or pizza dough. Take a bunch of dry sphagnum moss and wrap it carefully around the roots, making a circular and compact shape. Then tie the cotton string around it several times. This will eventually dissolve. Make a small hole in your soil ball, and gently press the plant inside it. Be careful to “close” the shape back to a sphere. Now it’s time for the fun part: take small sheets of moss (any kind of moss) and press them firmly into the soil. Don’t leave any open spaces. Wrap the twine string around the ball as if you are packing a present, and leave the sides as long as needed. Choose a nice, shady place, install a hook and hang your wonderful planet of moss. This entry was posted in Inspiration and tagged DIY, garden, kokedama, plants, string.